Each gift to St. John the Baptist Catholic School directly impacts student life. 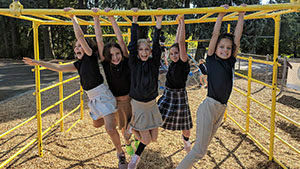 St. John the Baptist Catholic School of Milwaukie, Oregon, is fully accredited by the Western Catholic Educational Association. St. John the Baptist is recognized as an Apple Distinguished School 2013-2015 for innovation, leadership, and educational excellence in private schools. 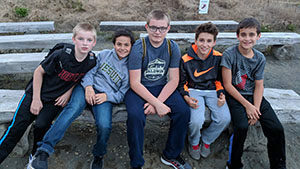 As a Catholic school in the Portland, Oregon metro area, it is our belief that there must be an integration of our faith in our total school curriculum. Our Schoolwide Learning Expectations will aid us as we continue to provide an atmosphere where the Gospel values are instilled, Christian attitudes are developed, academic excellence is fostered, and discipline is stressed. 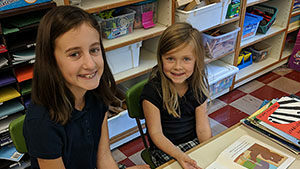 St. John the Baptist Catholic School is a family oriented faith community which is committed to fostering the spiritual, academic, physical, social, and moral abilities of our students who then actively demonstrate their learning in service to others.